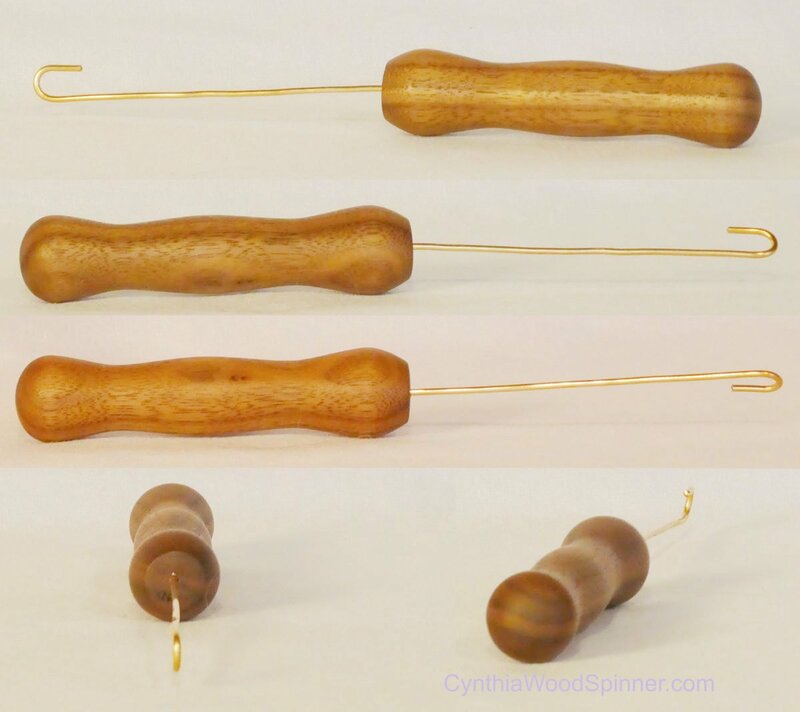 Drop spindle sizes from the back largest trunk size, branch size, twig size, and spindle ornaments. 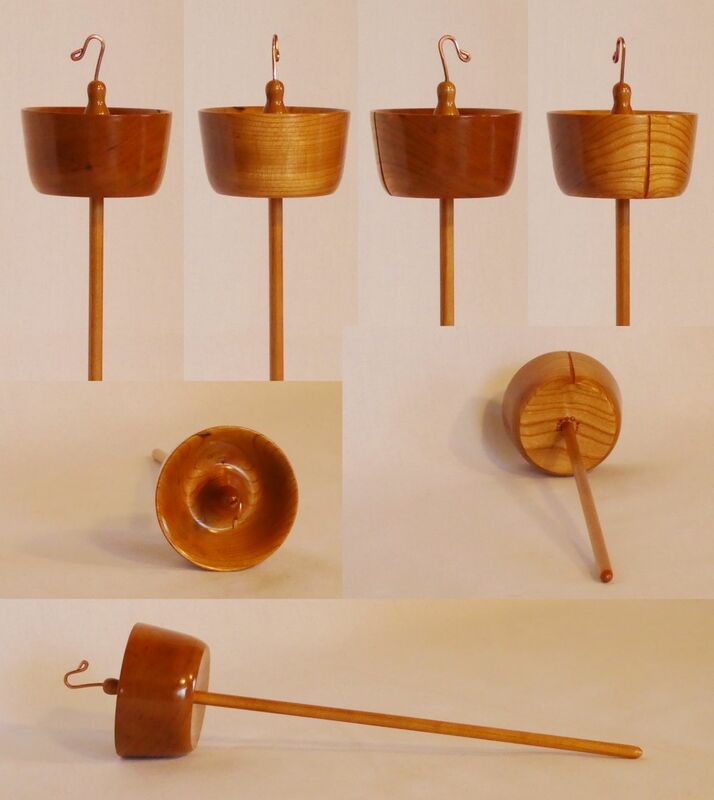 Also available bottom whorl spindles and multi spindle display stands. Please e-mail me ch@cynthiahaney.com with questions or international orders. Free Shipping on all US orders. Credit Cards are accepted with secure processing provided by PayPal. Questions by phone are welcome 1-434-282-8461, please leave a message including a good call back time. All the crochet hooks are solid wood either Cherry or Maple. I hand turn the handle and shank portion on my lathe. Then I hand carve the hook. 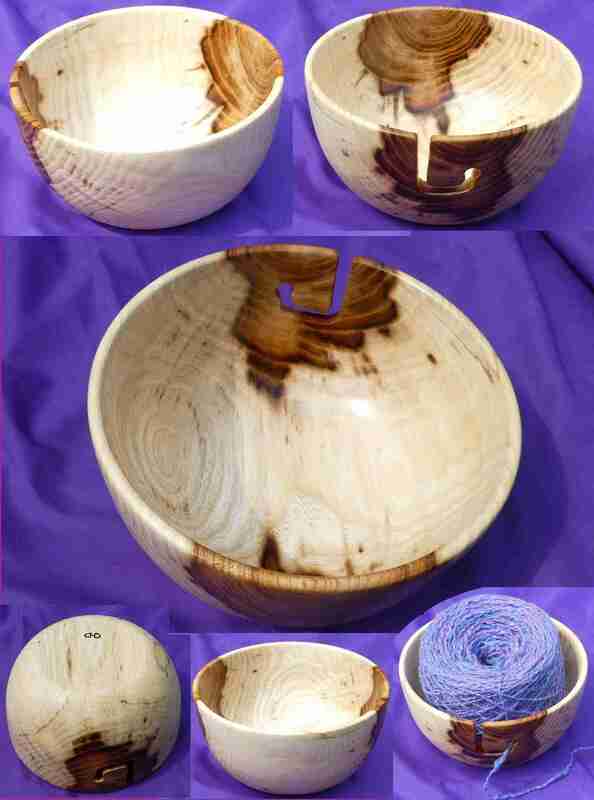 Sanded very smooth and finished with a light coat of Antique Oil, as you crochet it will be naturally finished further. Sizes available are US F through US U, outside of that range custom order. I do sign, label with both the US and mm size the bottom of each hook. Each hook $34. A photo of your specific hook available on order. 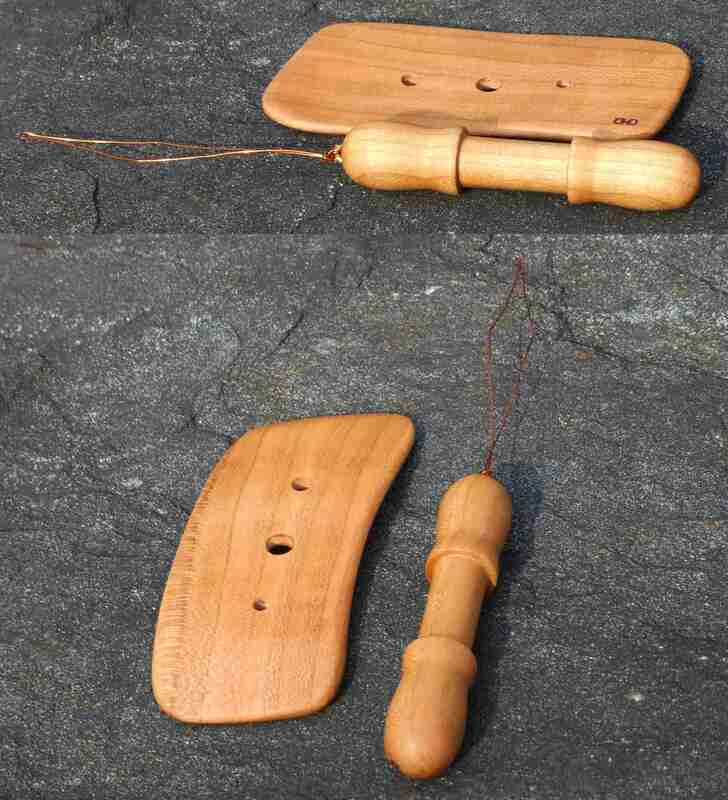 A nostepinne is a stick for winding balls of yarn. With a small bit of practice you can easily make center pull balls allowing access to either end of the strand. 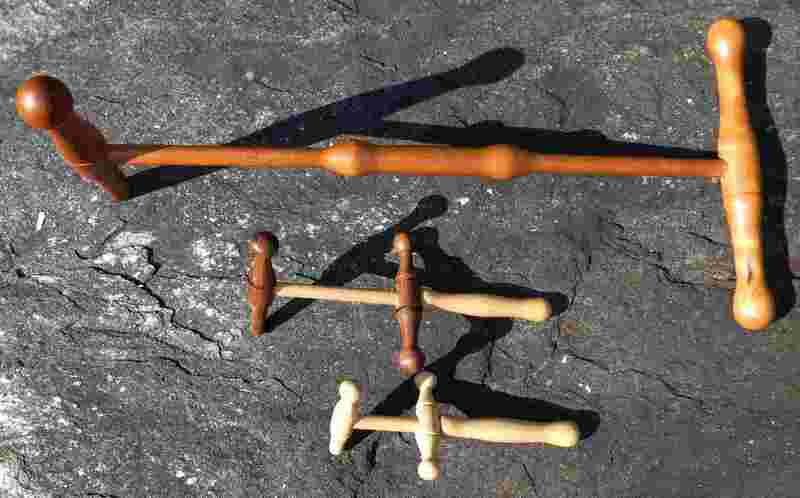 The three sizes of Niddy-noddy that I hand turn. The largest is the standard 2 yd. size though using just two arms gets a 1 yd. skein. $78 each. The middle is sample size for 18" skeins with a handle for easier use. $71 each. Smallest by popular request for mini skeins 12" size also with a handle. $68 each. Niddy-Noddy is a tool for wrapping skeins of yarn. Once the yarn is wound into a skein and secured it is ready for finishing hand spun, washing, and preparing to dye yarn. The WPI tool is used for measuring yarn thickness. Additional wood choices available upon request. I also make normal bowls. A diz is used as a final step in preparing fiber for spinning. You can pull carded fiber though one of the holes to create roving for example. Individual Diz and Threading Tools are also available. To see more explore the store pages in the menu below.